Posted November 25th, 2018 - News Posted for China News, World Surfing News. After three days of SUP Surfing action at the 2018 ISA World SUP and Paddleboard Championship, the stage has been set to crown the event’s first ISA SUP Surfing World Champions in Asia. The world’s best men and women SUP surfers have arrived at the Main Event Finals in Wanning, China and will contest the Gold Medals on Monday. Brazil’s Luiz Diniz and USA’s Sean Poynter are the past ISA World Champions that have reached the Men’s Main Event Final. They will be joined by Australia’s Harry Maskell and Brazil’s Caio Vaz, both looking for their first ISA Gold. “I am really enjoying the competition here in Riyue Bay,” said Harry Maskell. “Everything is going smooth and it’s great that the swell has arrived too. “All the athletes in the competition today are really high-end guys, so it was good to get a taste of the competition to come on the final day. Nicole Pacelli of Team Brazil, the 2013 ISA SUP Surfing World Champion, has advanced onto the Women’s Main Event Final along with New Zealand’s Stella Smith, Spain’s Iballa Ruano Moreno, and Japan’s Yuuka Horikoshi. “I am really excited to make it to the final day,” said Iballa Ruano Moreno. “It’s been a long three days, but we had great waves and I am super happy about the conditions. It’s one of the best events that I have ever taken part of. The top two placing athletes from the Main Event Finals will secure a medal position in the Grand Final, while the bottom two will head to the Repechage Final where they get a second chance to advance to the Grand Final. 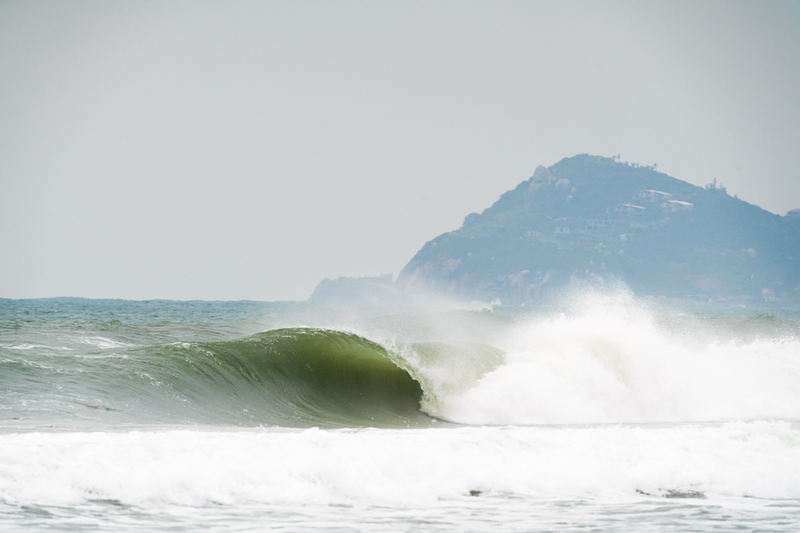 The third day of competition kicked off in a rejuvenated swell in Wanning, China with long left-hand waves peeling into Riyue Bay. The past ISA World Champions, USA’s Sean Poynter and Brazil’s Luiz Diniz, continued to be the standout performers, respectively earning high heat totals of 16.10 and 15.8. South Africa’s Thomas King took the high heat total honors with a 16.36 to stay alive in the Repechage Rounds. Westdorp will look to scratch back into the Grand Final the hard way via the Repechage Rounds. 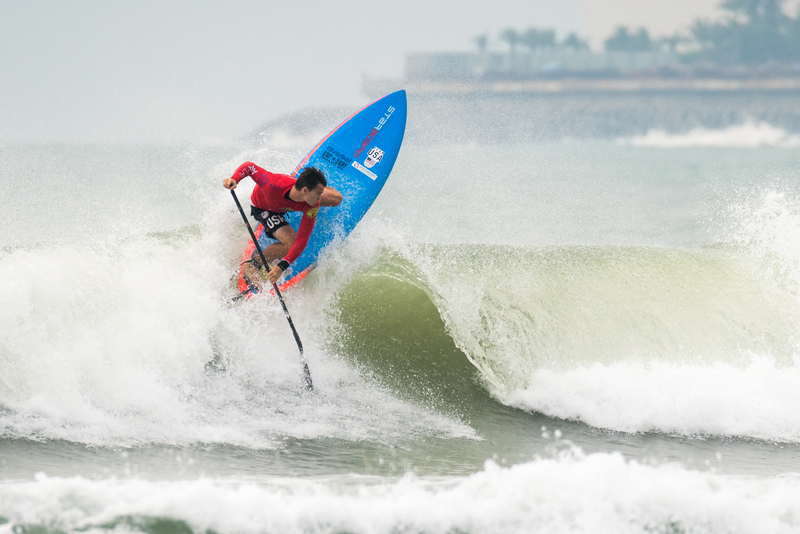 After the SUP Surfing Champions are crowned, the competition will transition to SUP and Paddleboard Racing, with the Technical Races to kick off the action in Riyue Bay. The SUP Sprints, Distance Races and Team Relay will cap off the week at Shenzhou Peninsula. “The world’s best SUP surfers have been putting on a great show in excellent conditions at Riyue Bay. Tomorrow the hard work, national pride, and determination that we have witnessed all week will culminate with two World Champions. “We have past World Champions in the mix, as well as new surfers who are looking to make a name for themselves on a global stage.